The split tool allows user to split contour plates and polybeams. Installers are available at Split Tools . 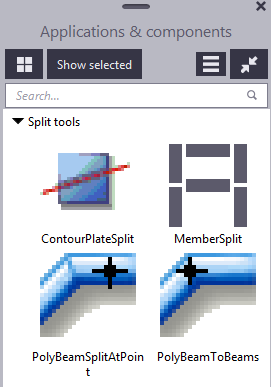 The above split tools toolbar available after the installation. and select the desired points through which the plate to be splitted. 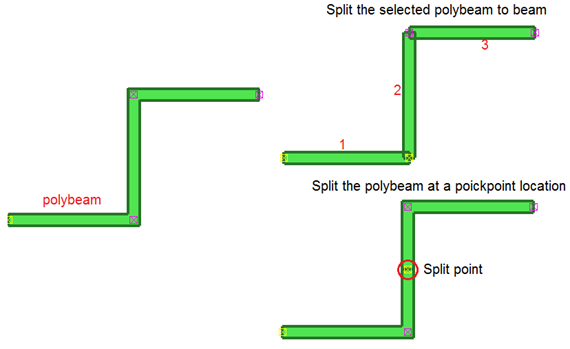 Pick the below icon and select the polybeam then pick the location to split it as like below. Click here for Member split help.